Max Verstappen believes he can still be a contender for the Formula One drivers’ championship after scoring his first Grand Prix win of the season in Austria. The 20-year-old profited from Lewis Hamilton’s retirement eight laps from the end of the race to claim an unexpected victory, 1.5 seconds ahead of Kimi Räikkönen. Sebastian Vettel’s third place allowed him to overtake Hamilton at the top of the rankings. 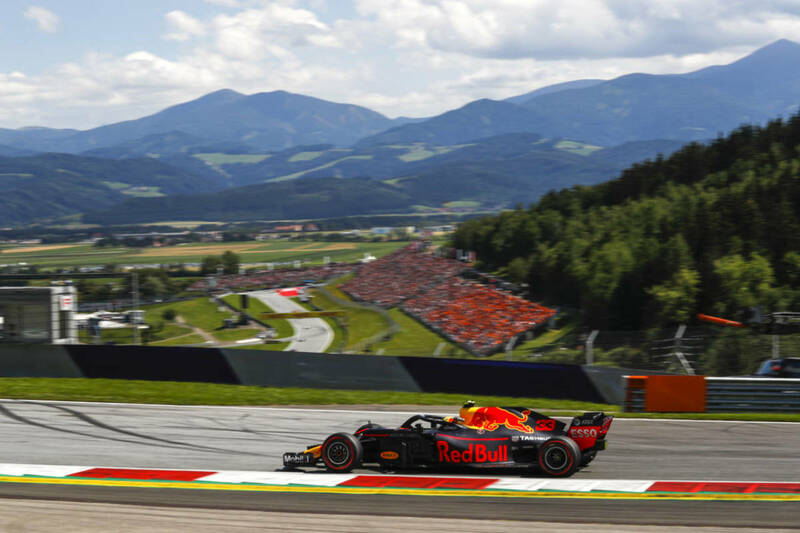 More than 20,000 Dutch fans travelled to Austria to watch the race, which was a home Grand Prix for Verstappen’s Red Bull team, turning a section of the stand into a sea of orange. As well as Hamilton’s retirement, the Dutchman benefited from a tactical blunder by Mercedes, who failed to send their drivers in for a pit stop when the virtual safety car was deployed on lap 14. Hamilton and Vettel both struggled with tyre wear in the later stages before Hamilton succumbed to a loss of fuel pressure. Verstappen had to nurse his tyres towards the end of the race in the blistering heat, but just held off Räikkönen for the fourth Grand Prix win of his career. After attracting criticism for a series of mistakes and crashes in the first six races of the season, the Red Bull driver has now finished on the podium on the last three occasions. Red Bull team boss Christian Horner said it had been an ‘unbelievable drive’ by Verstappen both to win and to protect his tyres on the hot tarmac.